Tomorrow is Alastair’s birthday. As I mentioned in this post, he is twenty-two days my senior, which allows me to say, with a straight face, that I am married to an “older, foreign gentleman.” It makes being married to a Canadian who is a couple weeks older than me sound positively intriguing, doesn’t it? 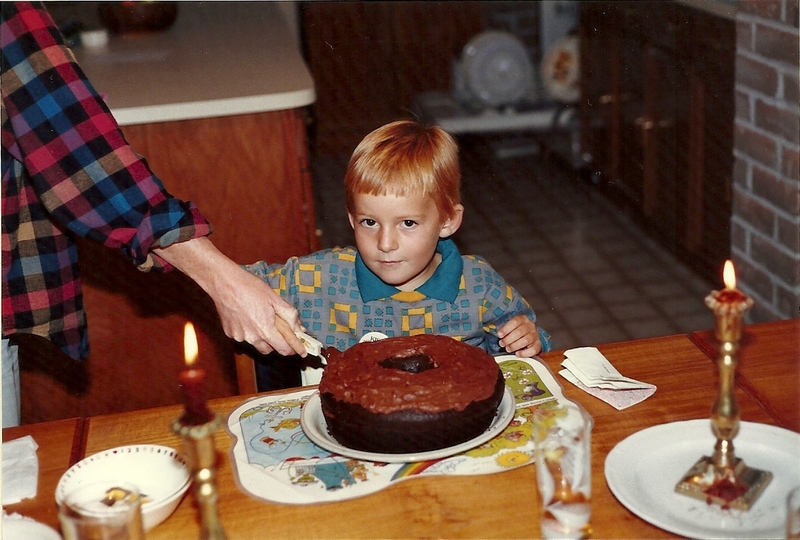 Implied message from baby Al: this entire cake is MINE. In the interest of getting birthday-ready, and since I am at a good pausing point with all of my various writing projects, I am thinking about taking the day off to make and bake things. So, off I go! Happy (almost) birthday, Al! I love you! This entry was posted in Life and tagged Alastair, birthday on October 4, 2013 by Stephanie.